Che Victorious: Here Soderbergh films BENICIO DEL TORO as Che at the moment Che enters the town square after Batista’s forces have surrendered. Among the guerillas greeting him is CATALINA SANDINO MORENO who plays Aleida March. 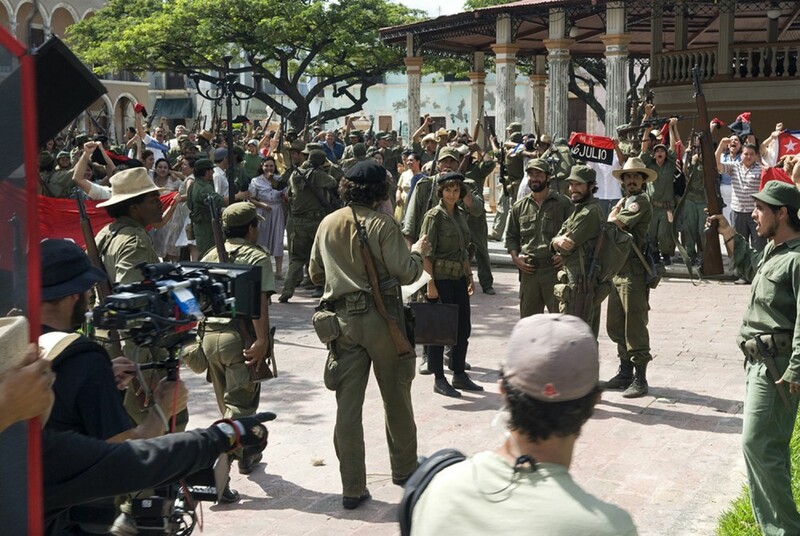 In real life, Aleida fought alongside Che and after the victory they married in June of 1959.